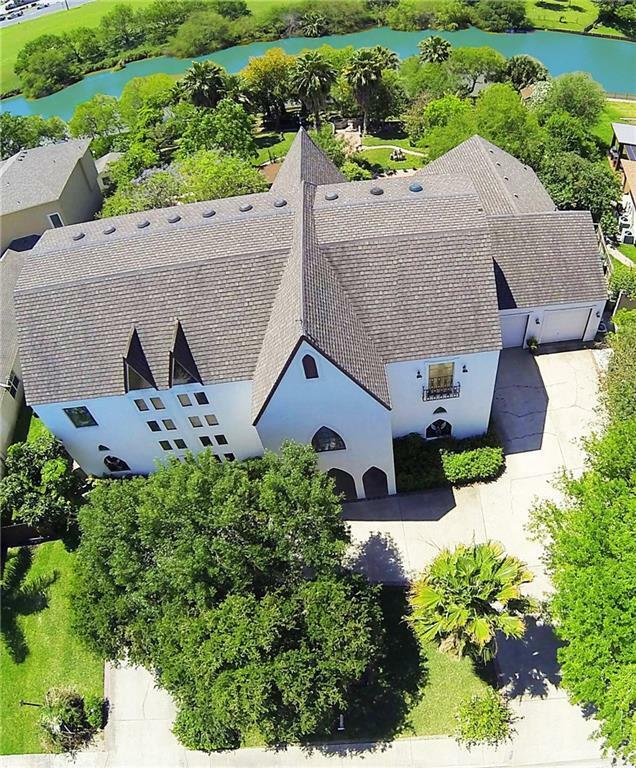 This exquisite home is one of a kind! 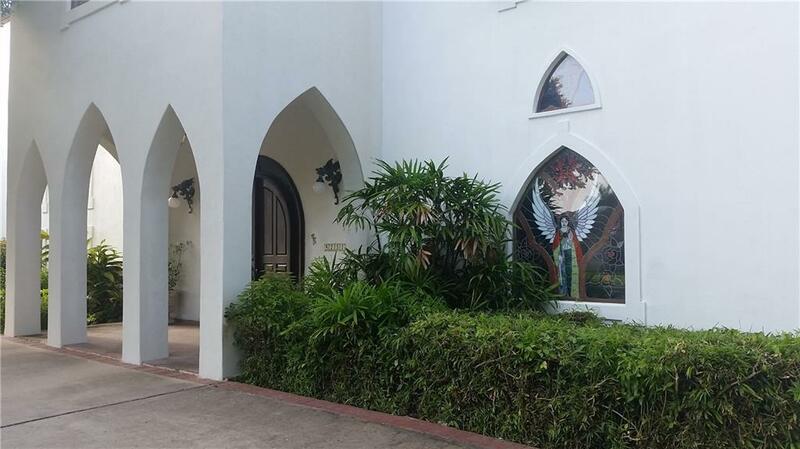 From its gothic arches to the garden courtyards; this home screams Spanish Colonial meets Frank Lloyd Wright. 16 original Wright stained glass pieces tower over a grand ballroom, which can be used as a 3rd living area. 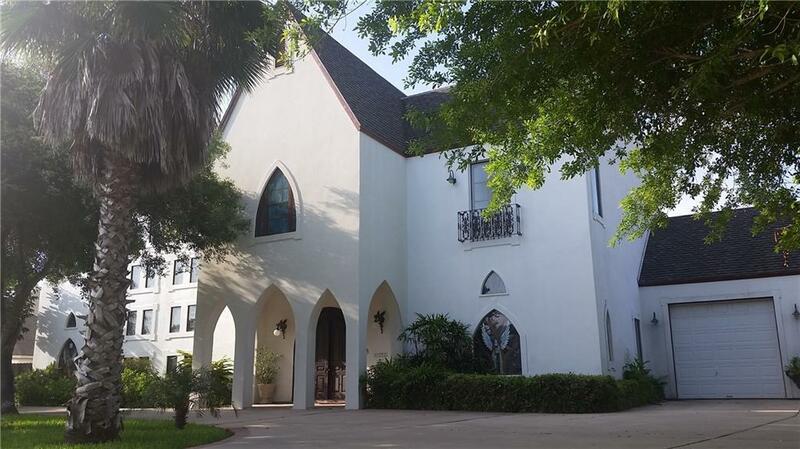 Its 35' vaulted ceiling & lavish chandelier open to the loft above. In the gourmet kitchen: Blue Pearl Granite from Ireland & commercial appliances. Including the acclaimed Coriat gas stove. The Chinese marble flooring downstairs transitions into Saltillo tile upstairs. Two balconies over look lush gardens & resaca view. The upstairs master bedroom boast 1 bathroom w/steam room; another w/Jacuzzi tub. Great history w/4 nostalgic 100+ y/o arched doors from the Obispado in Monterrey. With so much detail, it must be seen to be appreciated.